In a significant development, the first bench of the Madras High Court has clarified that the administrative order of the Madurai bench instructing all print, electronic and media houses not to publish names of lawyers appearing in a case is only advisory in nature. Although the Supreme Court had dismissed a special leave petition challenging the Madurai bench order, the bench of Chief Justice SK Kaul and Justice R Mahadevan gave this clarification while hearing a petition filed by two journalists, who sought the Madurai bench order to be declared as unconstitutional. The bench also observed that to safeguard the larger interest of the parties and foster democracy in the country, the press has to function and perform its duties freely without any restriction. LiveLaw broke the news story of the order passed by the Madurai bench on August 24, 2016. The bench had passed these directions while hearing a PIL filed by a lawyer practising in the High Court. Apart from this, directions were also given to the Registrar (Administration) to “request” media houses not to publish the individual names of the judges unless “it is so essentially required”. While the Madurai bench had also directed the registrar to place the matter before the Chief Justice of Madras High Court so that appropriate instructions can be issued, the reasoning behind this order was stated thus “the judges do perform their duties dispassionately and to the extent possible by not allowing their individual notions and philosophies to be a guiding factor in deciding the causes brought before them. Therefore, we feel that the names of the Judges should not be published and on the other hand, the name of the High Court alone should be published”. 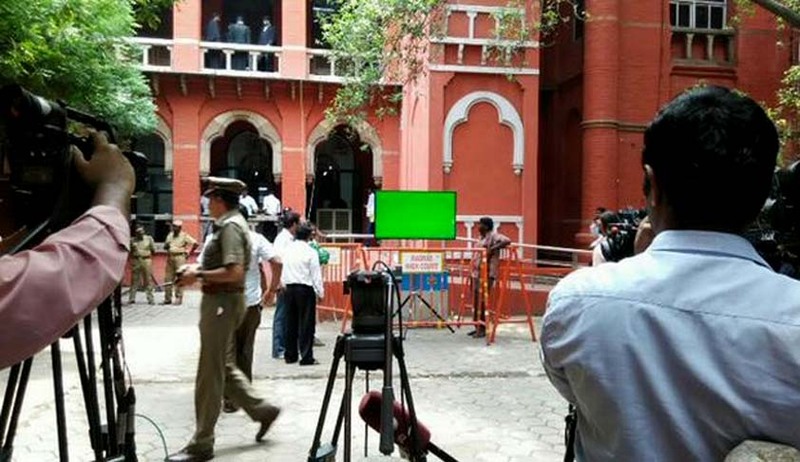 In the petition before the principal bench of Madras HC, the petitioners contended that the law regarding freedom of the press that has been laid down by a constitution bench of the Supreme Court and the order passed by the Madurai bench violates it. In conclusion, the bench observed that the administrative order of the Madurai bench was “only advisory in nature”.